Note: all essays in this book are included in the newer volumes War, Christianity, and the State and War, Empire, and the Military. These seventy-nine essays, organized under the headings of Christianity and War, War and Peace, The Military, Christianity and the Military, The Iraq War, Other Wars, and The U.S. Global Empire, have one underlying theme: opposition to the warfare state that robs us of our liberty, our money, and in some cases our life. 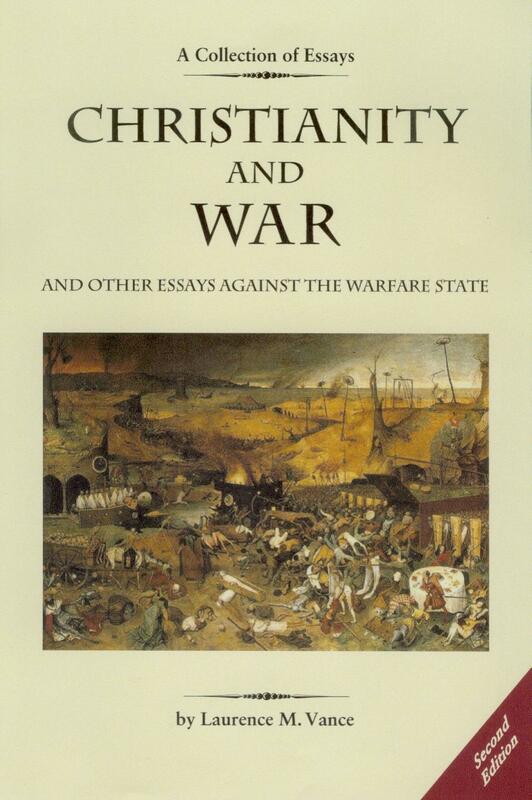 Although many of these essays reference contemporary events, the principles discussed in all of them are timeless: war, militarism, empire, interventionism, the warfare state, and the Christian attitude toward these things. It is the author's contention that Christian enthusiasm for the state, its wars, and its politicians is an affront to the Saviour, contrary to Scripture, and a demonstration of the profound ignorance many Christians have of history.